This is the Bofors replay. The French government and ours are equal partners, which is why both are going out of their way to put out half-cooked denials and unconvincing statements. 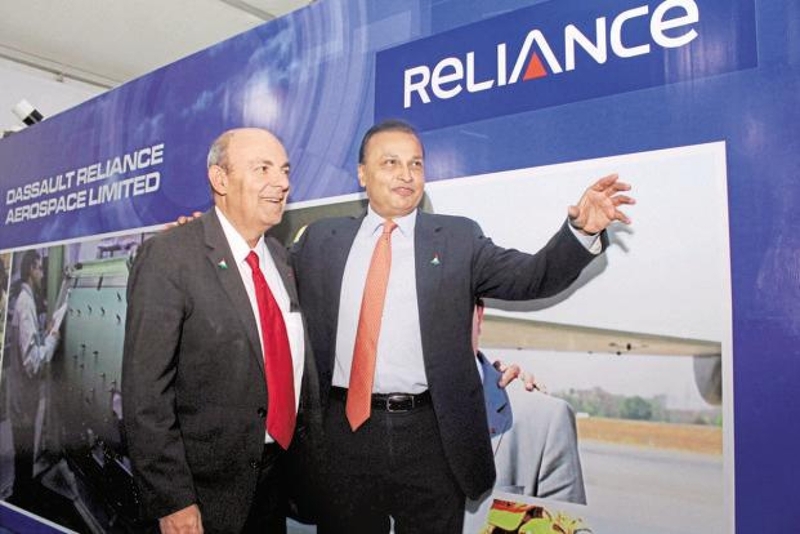 I refuse to believe that Reliance Aerospace (RA) developed the capacity to produce Rafale parts in barely two weeks before the administrative approval to the deal was signed. And that Dassault contracted a firm that is neck-deep in debt, in default of overseas obligations, and ship supplies to the Indian Navy setting the naval shipbuilding programme back by at least a decade and have no known capacity to manufacture warplane parts (at least 70% of the total). No arms producer can sell or outsource even a single nut-bolt combine without a slew of clearances from their respective governments. To expect that the French Government knew nothing is preposterous, for, in defence exports, 'commercial' terms are invariably secondary. The same holds true of Dassault, for whom these 36 planes have come as a lifesaver with limited sales. Subramaniam Swamy certainly has a point here. For its part, the Government of India is similarly charged with assuring that the selected domestic partner of Dassault is verified for professional attainment and market reputation before being licensed to set up business. More so, since the state-owned Hindustan Aeronautics Ltd (HAL), for all its inefficiency and poor quality, has remained in business for over six decades now does not have orders beyond another three years, yet has over 10,000 employees. Not just that, the financial sanction to Rafale was probably signed only after the subsidiary offset agreement with RA was inked and its plant had come up in a Nagpur suburb. Moreover, the speed with which RA was granted requisite land in a BJP-ruled state-owned industrial park, all seemingly within a fortnight, is a red flag. Shortly after this, they even financed the building of a plant -- that too would not have been a cheap proposition. How was RA plant financed with its defaulter status? Which Indian financial institute extended them credit? Hollande's response is amusing. A seller with reportedly contemporary technology will never sell technology that is the latest innovation for fear of duplication by enemies (one of the reasons why the US is sanctioning countries that buy Russian equipment like the S-400). If one is to go by top IAF officers proclaiming the Rafale as a super warplane, then the seller would necessarily impose the strictest of conditions for partial tech transfer (such as for overseas manufacturing of spares). Here is where Hollande's statement falls flat. A $1.60 million (Rs 12 crore) infusion by Anil Dhirubhai Ambani Group (ADAG) through an Indian-headed investment firm was hardly any conflict of interest in a Rs 60K crore contract for Hollande's lady love, Julie Gayet. ADAG is unable to pay back public sector bank (PSB) loans but finds money for a foreign movie! Hollande would be cheapskate if he sold out the Rafale deal for a Rs 12 crore commission. Further, if Hollande was so unhappy with the choice of RA, why did he go ahead with the terms India reportedly 'imposed' upon him? Surely France is not a tinpot dictatorship. In fact, French anti-corruption legislation could now be cited by Hollande's detractors and he could be brought to book that would end his political carrier, probably also send him to jail. The answer and Hollande's only defence lies in Dassault's nearly dry order book. The Dassault-Hollande nexus is only too evident, the same way it is for India, both ADAG and Dassault sailing in similar financial boats. From Giscard d'Estaing onward, a line of French Presidents has had their hands in the till. And Dassault has been doing business in India for over five decades now. RA is the most suitable partner in whom the financial interests of the Governments of France and India converge, hence Hollande's term 'interlocutor' (dalal/middleman). And this the result of an inter-governmental agreement that is the most opaque way of purchase of defence equipment that AK Anthony perfected in his decade-long screwing of the defence services. Like all Indian conglomerates, ADAG has subsidiaries overseas in tax havens, a convenient add-on for its business profile. What is the most alarming is the manner in which high-level corruption is fast becoming an official way of collecting election and party funds in furtherance of dangerously divisive ideologies. What is worse is that import substitution is increasingly becoming a byword for crony capitalism and election fund collection. It is doubtful whether RA will manufacture or assemble parts for the Rafale in India. This is not the only case of screwdriver technology being palmed off as Indian-made, e.g., mobile phones. A new super oligarchy is emerging, that of an entrepreneurial party whose political party whose political and economic agenda coincide with those of businesses that are at a financial disadvantage (bankrupt or sold for a song). It is only natural such businesses would do anything to save their companies. Today it is the corporate sector, it could be your start-up or partnership next. When all these are put together, these explain why UPA's manufactured scams are quietly being laid to rest in law courts and tax tribunals, as are criminal cases against ruling party legislators. These also explain why an FCRA amendment with unparalleled retrospective effect was passed unanimously in Parliament. The manner in which Central PSUs and LIC, etc. are being regularly milked is at variance with so-called development work being undertaken. That is why the Union Budget has ceased to be discussed in Parliament, an irrelevance. Even our defence service heads and top officers have become de facto party employees. Please vote responsibly in General Election 2019, if it is held at all. That may be our last chance. If you are not satisfied with a candidate, please use the NOTA option. It is high time we looked away from the present-day politicians to a younger and untainted leadership. In the meantime, with rising uncertainty in our political system, be prepared for more Big Bang actions, that may not have your best interests at heart.